One of the things I want for 2016 is to be more settled. Now, that doesn’t mean that I have a home, or that I stay in one location for the entire year. What it means is that I want to be somewhere that’s centralized; that can be both a place I can keep coming back to as well as a base for other adventures. It became clear to me years ago that that place would be Europe. Thus, in December I made my transition to the continent that I’ll now be calling home. Of course, in true Brendan van Son style (yes, I just referred to myself in the 3rd person), I arrived to Europe in style. 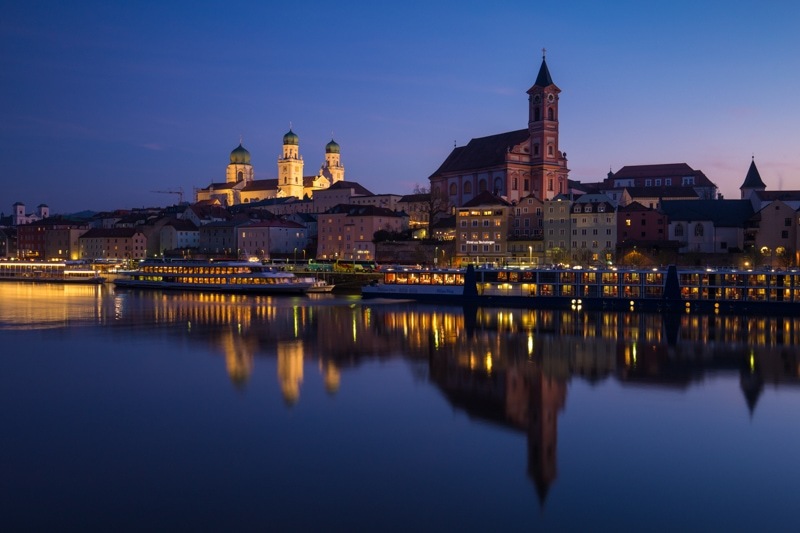 I landed in Munich, Germany and headed off to the beautiful town of Passau to start an 8-day river cruise with Viking River Cruises to Budapest – the city I’ll likely be basing myself. 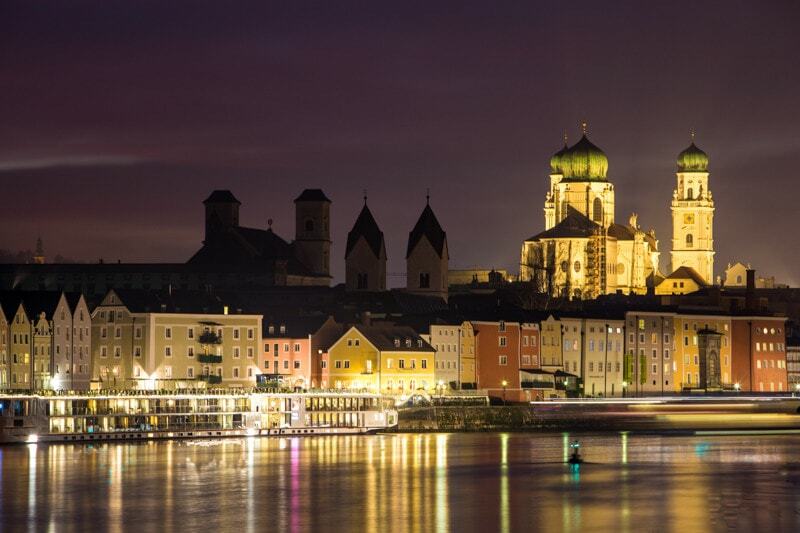 In total, I’ll have 3 articles coming from this river cruise, this first one is just from the town of Passau. And what a fantastic place to begin life in Europe. In the heart of Bavaria, Passau is the type of city that photographers drool over. It sits on the confluence of three rivers, is connected by beautiful bridges, and features a variety of just stunning pieces of architecture. The day I arrived, I headed out to a couple difference view points in the city to shoot some imagery. 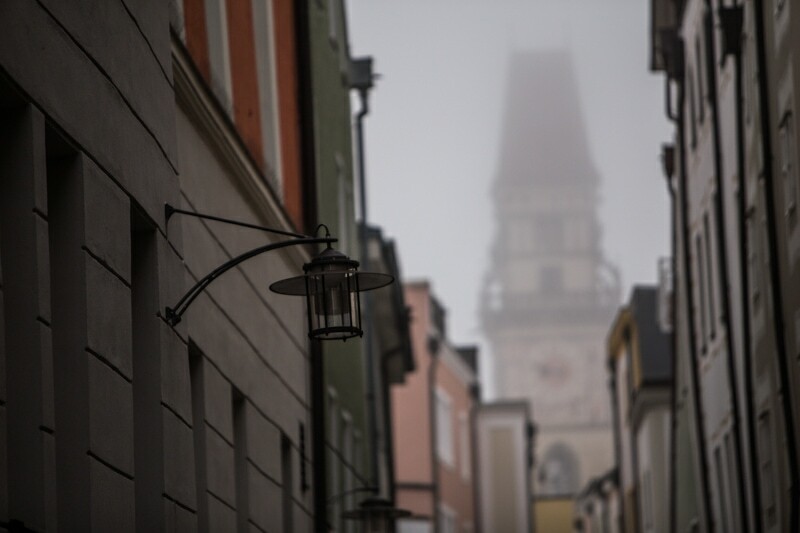 And though I was getting hammered with jet lag, I’m glad I went out and shot as my only other day in town the city was coated by heavy fog. On day two in town, I went on a walking tour with a group from the boat. The two-hour walk around the city was fantastic. Our guide was a professor of International Politics (which was also my area of study in university), and just fantastic. And even though the weather wasn’t the best, the tour guide made the day perfect. Walking tour views in the fog. My mom and I (oh, did I forget to mention that my mom came travelling with me?? Crazy, right?! 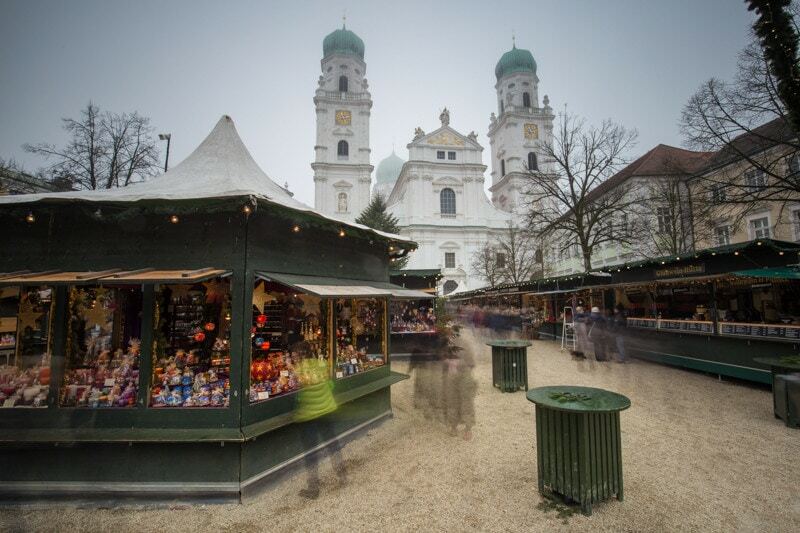 ), made a stop at the Christmas market at the main square of Passau. We shared a giant bratwurst (which was fantastic), and tested some of the mulled wine (which is sneaky potent). Then, in the afternoon of day 2, we set sail towards Austria! As you might know, I’m much more of the “drive a scooter down Africa” type of traveller than cruiser. And, the truth is the only other cruise I ever went on, I really didn’t like. However, though I’m the type that likes a good adventure, I also enjoy some luxury in my life from time to time. 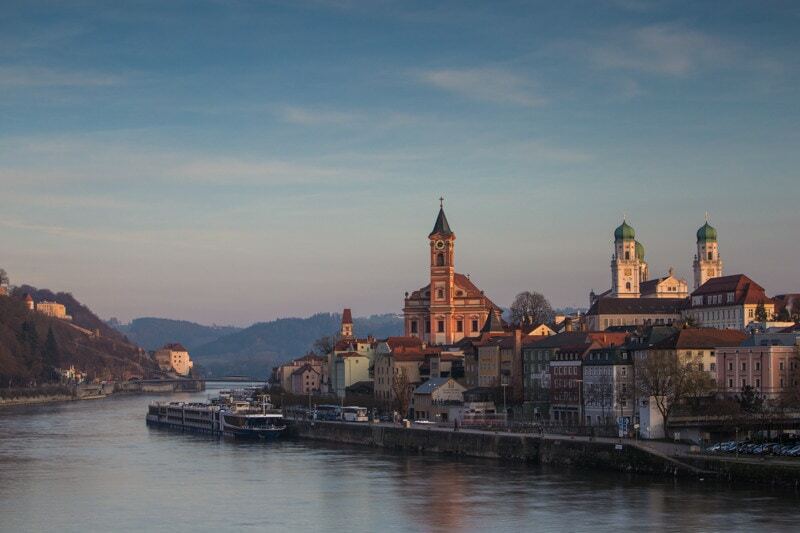 I had heard nothing but good things about Viking River Cruises, and decided to give them a chance. And, well I’ll talk more about Viking in future articles, these are my first impressions. More Active than I expected: I guess I didn’t realize how active river cruising would be. There’s always a walking tour, or different activity going on. My feet were moving the entire trip, and dare I say I was even a bit tired by the end of it. Different Potential Age Group than is Targeted: I think it’s obvious that the target market of river cruising would be the 50-75 year olds. But, I think that people like my brother and his girlfriend (sub-30 year-olds) would also love this kind of travel. It’s active enough to keep you busy, and comfortable enough to make you feel safe and relaxed. I really think the target market could also be millennials without children. Not a Cruise: After day 1, I didn’t think of it as a cruise. I thought of it as a group tour, and that’s a big difference. Top Quality: The quality of everything on board is fantastic. Great food, nice amenities, and comfortable spaces. Staff is Tops: The staff on board was unreal. Our tour director, Valentin, was amazing and I think he and some of the other staff knew every passenger on the boat by name. They were all fantastic. Nice to Have a Home on the River: It’s so nice to be on the river for 2 reasons. 1) You don’t need to pack each day and move hotels. 2) Much more comfortable moving around in a giant luxury boat than a bus or even a train. Community: One of the nicest things on the boat was that because the size of the ships aren’t massive, you get to know a good chunk of the people. Of the 100+ people on board, you’d get to know the names and stories of about a third of them. 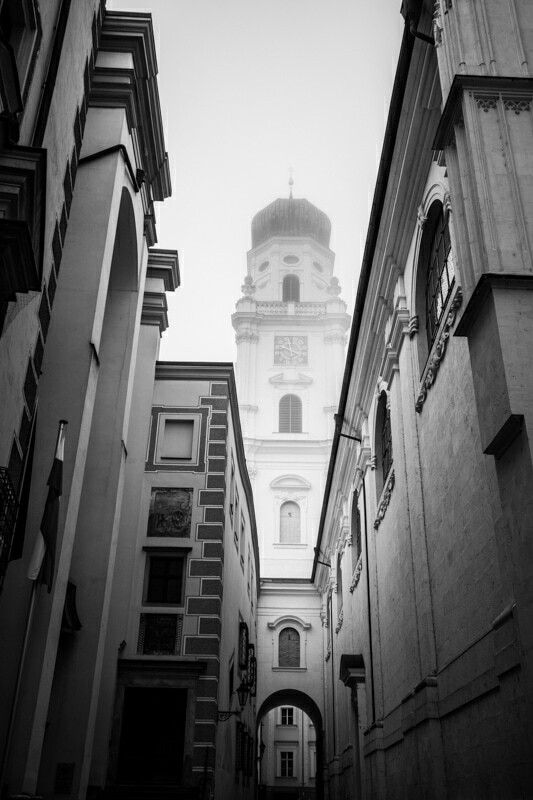 You probably want to see a few more photos from Passau, so here you go. I had just a day and a half too shoot the city, but I am pretty happy with the imagery that came out of it all. Long lens photo from way down the Danube River. 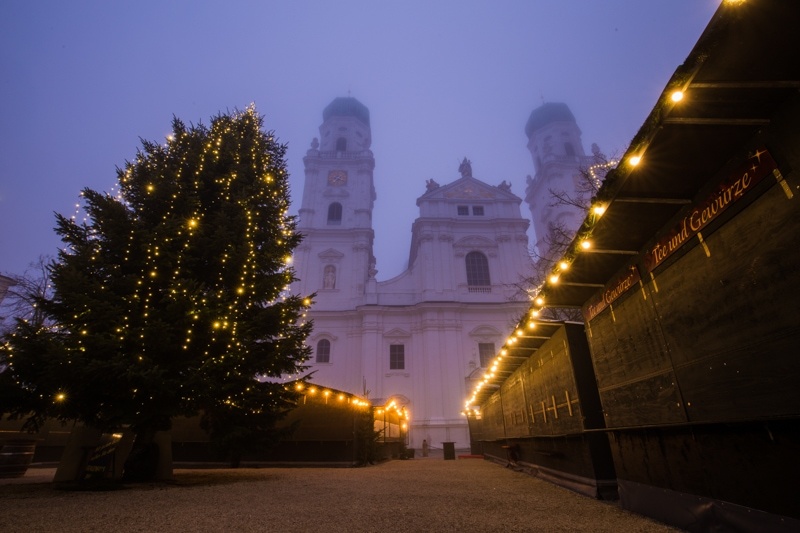 Dawn at the Christmas Market. This one just worked in Black and White. 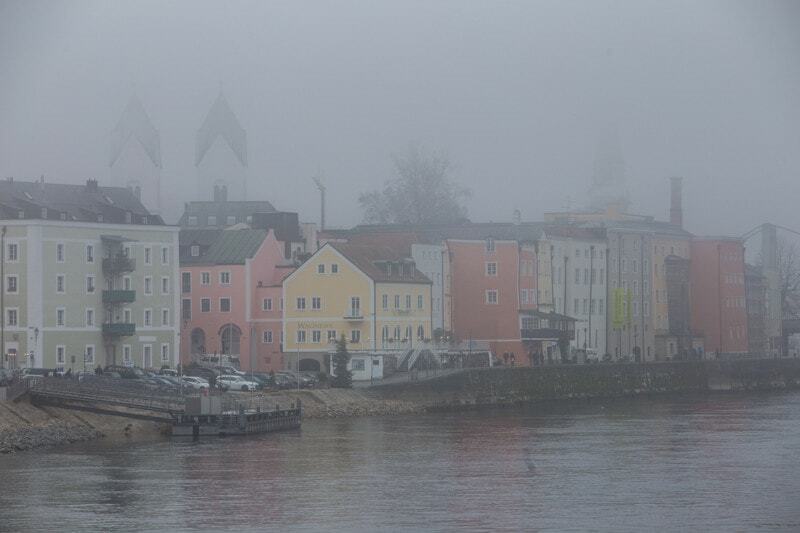 Views well leaving Passau on the Viking River Cruise. I’m on the cruise for another 2 articles. I’ll have one piece sharing the journey through Austria. Then, I’ll have another one from Bratislava and Budapest. Then, I’m off on a whirlwind tour around Europe on my own. Stay tuned, lots of travel photography fun coming up! 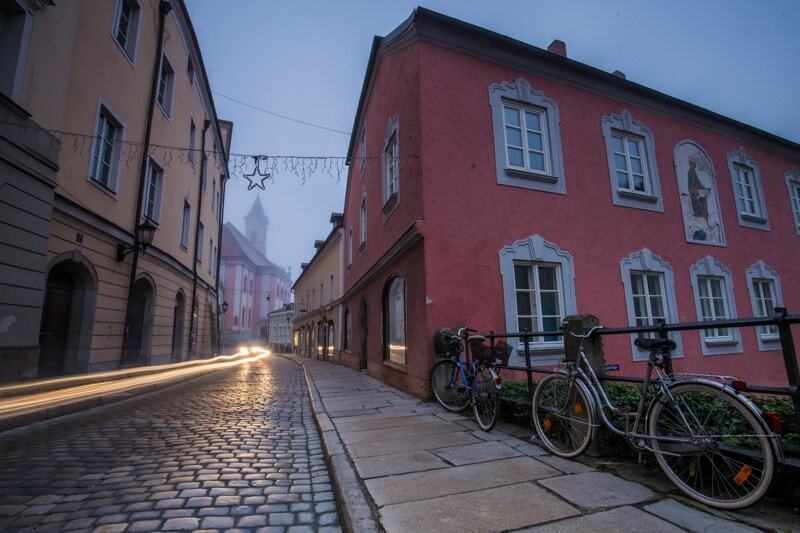 Hi, how expensive are the apartments in Passau. As you travel, you probably found one good place. Sounds like a wonderful cruise and you inspired me to look into one of these when we head to Germany in 2017. Thanks so much for sharing, and for the wonderful pictures. Thank you Brendan you represented that part of our cruise. So enjoyed meeting you and your mom on this magical trip. 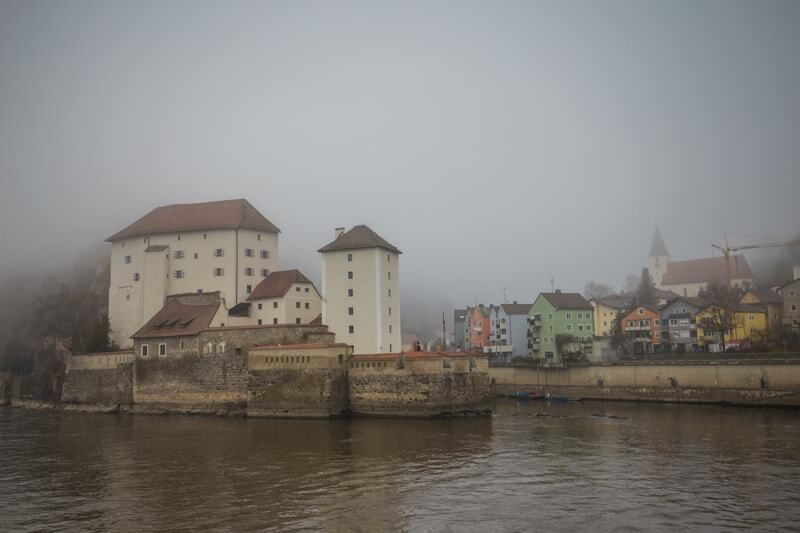 I am so addicted to Viking River cruises from here on out. Looking forward to your next segments.